← HOW THE OTHER HALF LIVE OVER CHRISTMAS! PLEASE SPARE A THOUGHT FOR THE HOMELESS AT CHRISTMAS! It is estimated online shoppers in the UK will spend another £636million on Christmas Day. 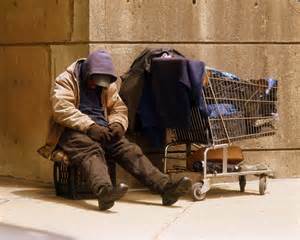 Let’s face it, if it wasn’t for a healthy credit line, some of them might be homeless too! While many of us are busy over-indulging and back-slapping during the festive season, tens of thousands of adults and children remain homeless. Certainly some of the homeless opt to be without a roof over their heads, but just because an individual doesn’t choose to buy in to our consumer society, it doesn’t make them any less deserving of our consideration. The majority of those people living rough have had the choice of ‘no fixed abode’ made for them. If you are not inclined to do anything for someone less fortunate than you, at least spare a thought for them, after all, humility as a character trait is a strength, not a weakness. It is a horrible feeling to be alone and friendless! If I’m perfectly honest, if it hadn’t been for the kindness of strangers, I too might be living under the stars! Posted on December 28, 2014 by lubkin2013	• Bookmark the permalink.